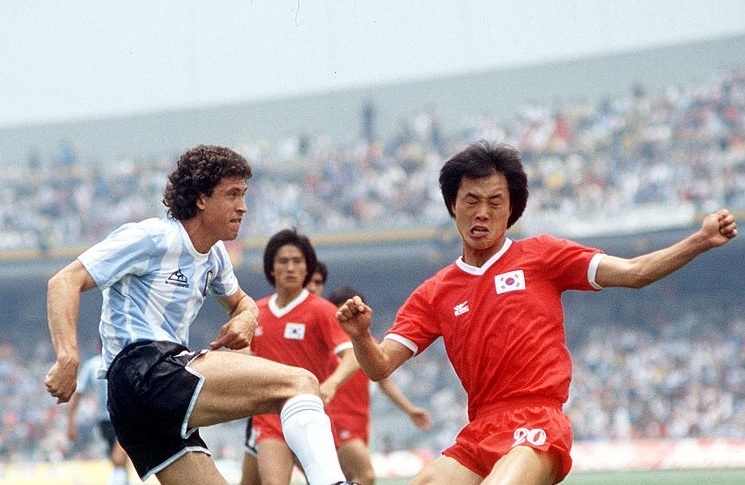 Jorge Valdano playing for Argentina vs. South Korea during the 1986 FIFA World Cup. As part of the 50 days, 50 Argentina World Cup moments, we will be counting down the top 50 Argentina moments at a World Cup using the daily number. We are just 46 days until the start of the FIFA World Cup and in 46th place we have Jorge VALDANO who scored in the 46th minute at the 1986 FIFA World Cup versus South Korea. 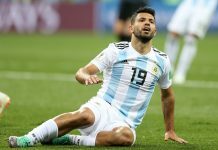 After the disastrous start which saw Argentina lose 1-0 against Belgium in 1982, the team knew they had to do better to kick off the 1986 tournament. It took them just six minutes to score in the opening match against South Korea in 1986 in Mexico. Twelve minutes later, Oscar RUGGERI scored to double the lead for Carlos BILARDO’s men. 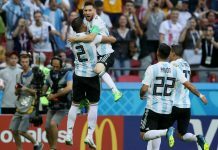 At the 46th minute, Jorge VALDANO all but secured the three points for Argentina when he scored his second of the match. A great cross in by Diego MARADONA found VALDANO’s head which found the goal. 50: Sergio ROMERO gets 50th cap vs. Switzerland at 2014 FIFA World Cup. 49: Roberto AYALA scores in the 49th minute vs. Germany at 2006 FIFA World Cup. 48: Angel DI MARIA’s 48th cap for Argentina vs. Bosnia-Herzegovina at 2014 FIFA World Cup. 47: Mario KEMPES scores Argentina’s 47th goal all time at the 1978 FIFA World Cup vs. Peru. Imatiz.Add to it his constant injury records. Assigning the midfield role to Lanzini, Locelco and Parades as some folks ve been suggesting is not a good idea. May be he can back Maria/ Perotti up when escorted with E. Perez/Meza, Biglia/Ascacibar, Banega/Locelso. Exactly. A midfield without any DM is out of the question because we need atleast two good CMs with good tackling abilities. We don’t have two reliable CMs like that. Even Lo Celso looks shaky when he defends inside the box. This is why Sampaoli is desperate for Biglia. The question is why Sampaoli didn’t try Ascacibar. Perhaps he didn’t expect Mascherano’s dramatic downturn in performance. The CDM role is so messed up right now. 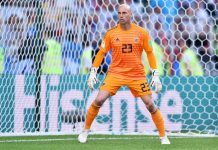 Our whole WC is depending on it. Lanzini got abused by Man city players today…. Today’s match summed up Lanzini’s game pretty well. His strength is his hard work, finding pockets of space in attacking third, playing quick one-twos and a natural instinct to score. His inability is dropping deep, grab hold of the ball and dictate the tempo of the game. He fits the bill for our NT because we have players like Messi, Lo Celso, Paredes and Banega ( when he plays well) who can dictate the tempo of the game. It should allow Lanzini to stay higher up the pitch and exchange passes quickly with the striker or, winger and create space and opportunity. His finishing ability comes in handy here. But if we expect him to lift up his teammates on a bad day like today against Man City, we would have to be disappointed. He feeds off his teammates good work. Just like he needs Arnautovic’s good work to impact West Ham’s game, which isn’t a bad thing btw that’s how he plays. So overhyping him now as a regista and bashing him after a bad game would be an injustice.